Update (21.08.2015) – The Azerbaijani state prosecutor is asking today nine-year jail term for investigative journalist Khadija Ismayilova, on trial in Baku. 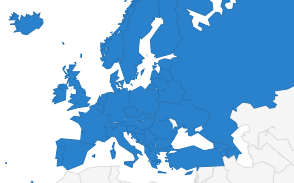 The European Federation of Journalists firmly condemns this outrageous request. She should be immediately released. The trial is due to continue on August 26. The verdict could come on that day. 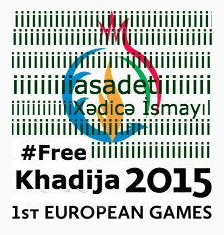 The international support to free Khadija Ismayilova, a jailed female Azerbaijani investigative journalist, is growing around Europe and is expected to be a top embarrassing issue for the EU and Azerbaijani authorities during the first European Games to be held in Baku (Azerbaijan) from 12 to 28 June 2015. Arrested since 5 December 2014 on suspicion of inciting a colleague to attempt suicide (the man withdraw his complaints a few month ago), Khadija Ismayilova has published numerous detailed investigations about corruption cases involving President Ilham Aliyev and his family. Last Saturday (09/05/2015) in Brussels during the Data Harvest 2015 for European investigative reporters (#EIJC2015), Khadija’s colleagues from OCCRP network briefly exposed suspicious off-shore accounts held by Aliyev’s relatives in Panama. On May 5, during a European discussion on the Southern Gas Corridor and the “energy, security, democracy and human rights violations from Italy to Azerbaijan”, organised by CEE Bankwatch Network and Counter Balance, Arzu Geybullayeva (RFE) and Idrak Abbasov (freelance) in Brussels together with Emin Milli (Meydan TV) from New York explained the media crackdowns strategies in that country and the European responsibilities in this situation. The same day, the PEN American Center announced that Khadija Ismayilova is the laureate of the prestigious Barbara Goldsmith Freedom to Write Award for 2015. This announcement followed another professional recognition with the Anna Politkovskaya Award for reporting on corruption attributed by the Swedish National Press Club. 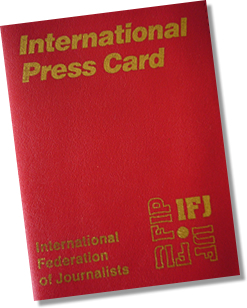 The European Federation of Journalists (EFJ), together with the International Federation of Journalists, also issued several public statements in support of Khadija Ismayilova. 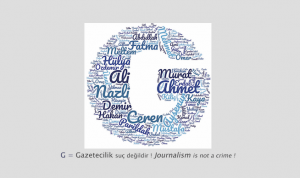 According to the Council of Europe’s Platform to promote the protection of journalism and safety of journalists, Azerbaijan is currently among the top 3 countries with most cases of media violations recorded.